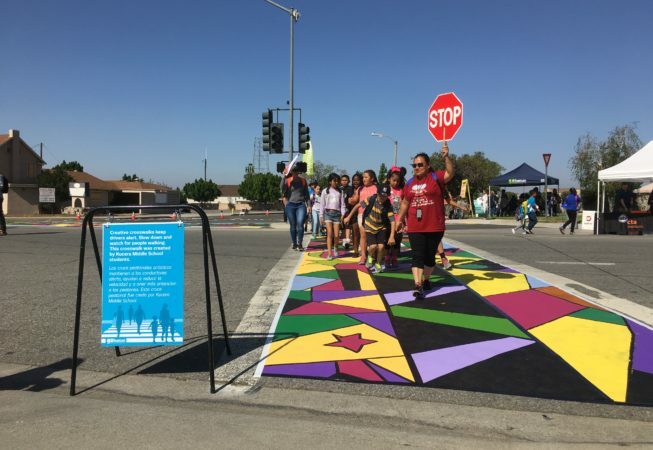 Description Paint white rectangles across floor mat, and quickly roll out a crosswalk! Typical Dimensions Sold in rolls. Order custom dimensions to create rolls a minimum of 6 ft. wide, and long enough to span roadway. Estimated Cost $5 / sq. ft.
Crosswalks Choose a floor mat 6 - 10ft wide, and paint with white stripes 12 - 24 in. per stripe, with gaps of 12 - 36 in. Roll mat into place where croswalk demonstration is desired. Bikeways East Bay Bike Coalition has similarly used heavy rubber floor mats to simulate green stretches of bike lane. For a bike lane, choose a mat at least 5 ft. wide, and up to 20 ft. long. Paint mat green, add bike lane markings and position in place as desired. Cheap, easy to create, and re-usable. Mat material cuts easily with strong scissors, if needed. 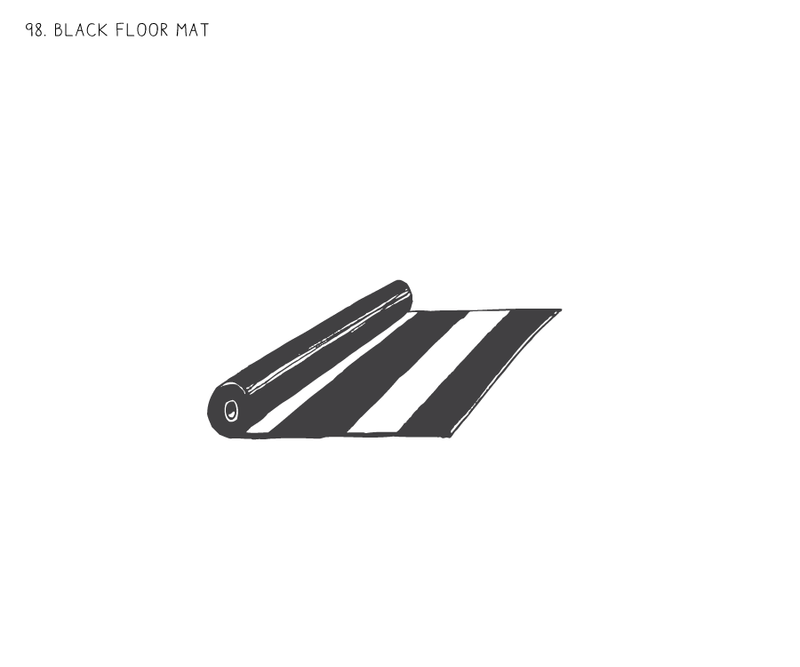 Choose a heavy mat material that will not blow in the wind or be easily lifted by passing cars. Black tar paper provides a cheaper alternative. Purchase supplies from local hardware or office supply hardware.